Simple Shelves Change a Life. News at 11. You know it’s November and I just realized that I never shared my new beautiful incredible wonderful pantry that I’d been begging Neil for ever since we moved in. I don’t think it’s a stretch to say that my life has completely changed. 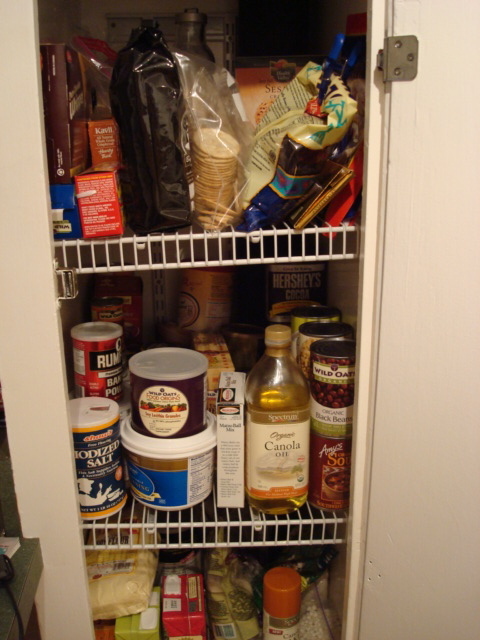 Quick reminder for you what the “pantry” looked like before. The new and improved pantry. Keep in mind the limited photography skills and the very dark day we’re having here right now. “Happy Birthday to me, Happy Birthday to me…” Courtesy of Neil and Home Depot, I no longer have to look at a counter full of random food. That’s right. I can now pile other random crap there any old time I want to. And I do. This seems like a good time to share with you the crazy organizational kick I’m on right now. 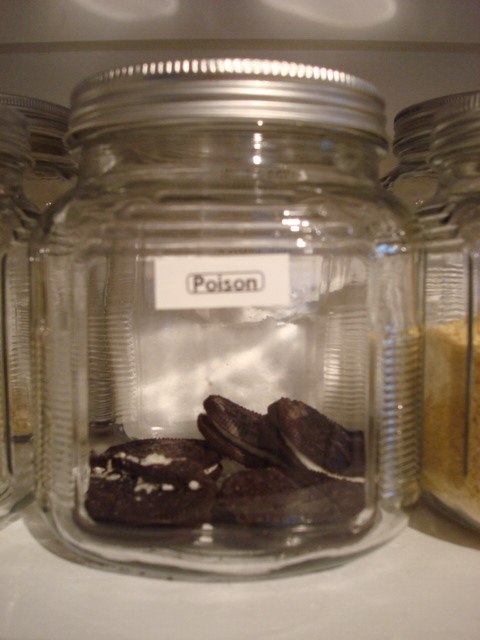 Label label label. Watch out for I will label you with my label maker if you get in my way. I don’t know. 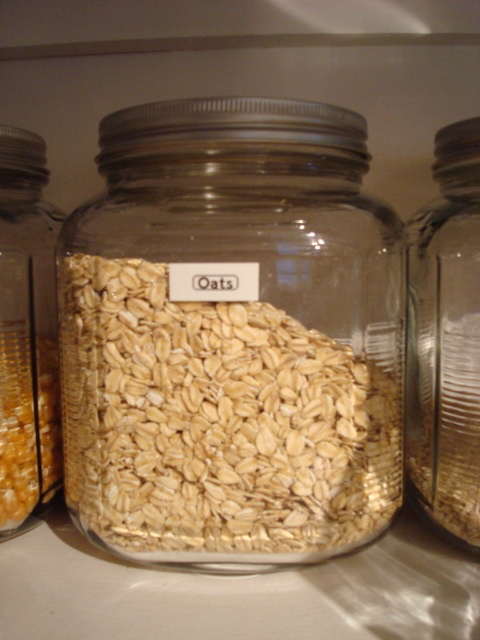 Maybe I thought I might look at this jar someday and wonder just what those oat-like things are? You can never be too safe. Or too dorky. A truer label was never created. This entry was posted on Tuesday, November 6th, 2007 at 6:07 pm	and is filed under Dork Mom, Food. You can follow any responses to this entry through the RSS 2.0 feed. You can leave a response, or trackback from your own site. This story would never run at 11. Where’s the, “fear for your child angle”? What would be the viewer benefit? Is this just a human interest story? I think we’ll need a meeting before the next newsgathering meeting to clarify what constitutes news around here. You’re so right. This is really a 5:30 news story at best. you should include a pic of the labels in the basement hallway along with this story…I’m not sure why but I found that quite entertaining. I swore to never share that with anyone. But I also swore (to myself) to never let you forget about it. That’s what friends are for. What labels? What hallway? What basement?